What will your video say? LET'S WORK TOGETHER! Contact us to set up your free consultation. 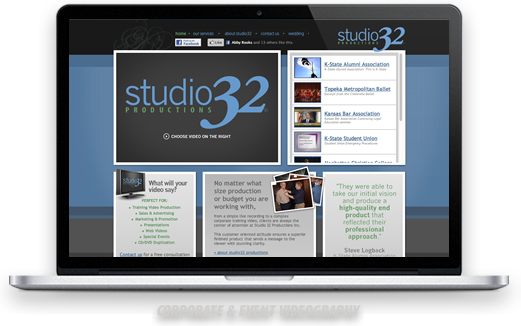 Studio 32 Productions Inc. is a Manhattan, Kansas-based videographer, providing high-quality videography services in Manhattan, Topeka, and surrounding areas. We provide Wedding Videography, Corporate Videography, and additional services for Manhattan Weddings, Topeka Weddings, and surroundsing areas. 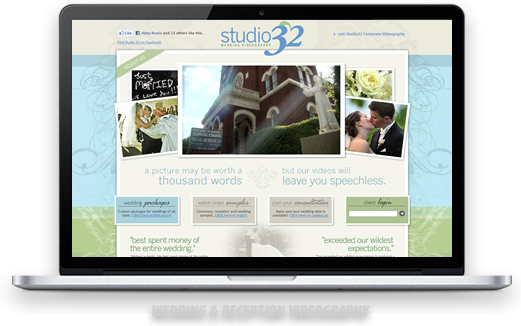 We are a complete wedding videographer for your special day, an event videographer for any occasion, and our corporate video services can help any business reach their target audience.